“The skills women learn in climbing – problem solving, risk taking and confidence in their decision making – will enable them to climb all the mountains in their lives,” Sean Patrick, Founder of HERA. Join us November 10th for HERA's 2018 Climb4Life event! HERA’s Climb4Life events are a cornerstone in helping accomplish our mission to eliminate ovarian cancer by promoting Health, Empowerment, Research, and Awareness. HERA’s Climb4Life series provides an excellent forum for empowering women and supporting awareness of the signs and symptoms of ovarian cancer. Whether you are a beginner climber, an experienced mountaineer, a courageous cancer survivor or a person whose life has been affected by cancer – Climb4Life is for you! Join us in Colorado as we partner with Ubergrippen in Stapleton, in Louisville, Earth Treks in Golden, and Englewood. Come out to support a great cause. Please click "I Want To Fundraise For This" above to create your own fundraising page for the event. You can share your personal fundraising page on social media to help raise donations. We encourage everyone who registers to raise a minimum of $170 in addition to your $80 registration fee. We look forward to seeing everyone on November 10th! $30: Summit Party Only. Price includes dinner entree/drink ticket, raffle ticket, and silent and live auction at Improper City in Denver Rhino District. $125: Your donation will help fund the next research grant for early detection and cutting-edge treatment. Donors at this level receive a Limited Edition Sophie Binder Design T-shirt. $500: Silver Sponsor: Your name will be listed on HERA’s website as an event sponsor. Silver Sponsors also receive a Limited Edition Sophie Binder Design T-shirt and admission for 2 to the Summit Party. $2000: Gold Sponsor. Your name will be listed as a Gold Sponsor on HERA’s website, event posters and at Summit Party. Gold Sponsors also receive 2 Limited Edition Sophie Binder Design T-shirts, 2 registrations for Climb4Life, and admission for 2 to the Summit Party. $5000: Platinum Sponsor. Your name will be listed as a Platinum Sponsor on HERA’s website, event posters and at Summit Party. 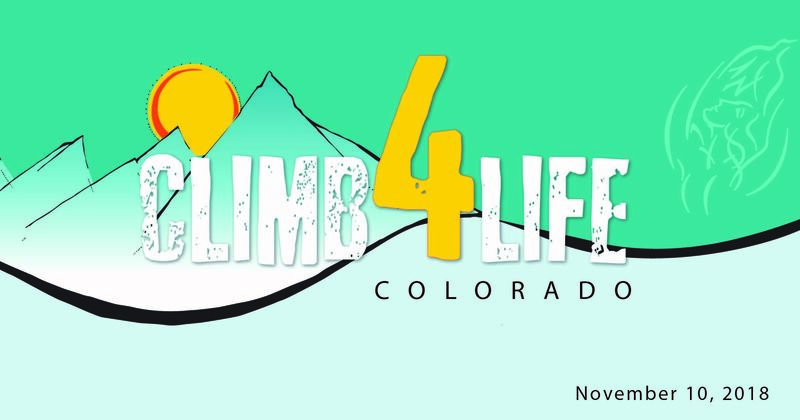 Platinum Sponsors also receive 4 artist or pro-climber signed Limited Edition Sophie Binder Design T-shirts, 4 registrations for Climb4Life, and admission for 4 to the Summit Party. HERA Ovarian Cancer Foundation has partnered with Give Lively to securely process your online donation. This transaction will appear on your credit card statement as "HERA Ovarian Cancer Foundation". This transaction is subject to Give Lively's Terms and Privacy.